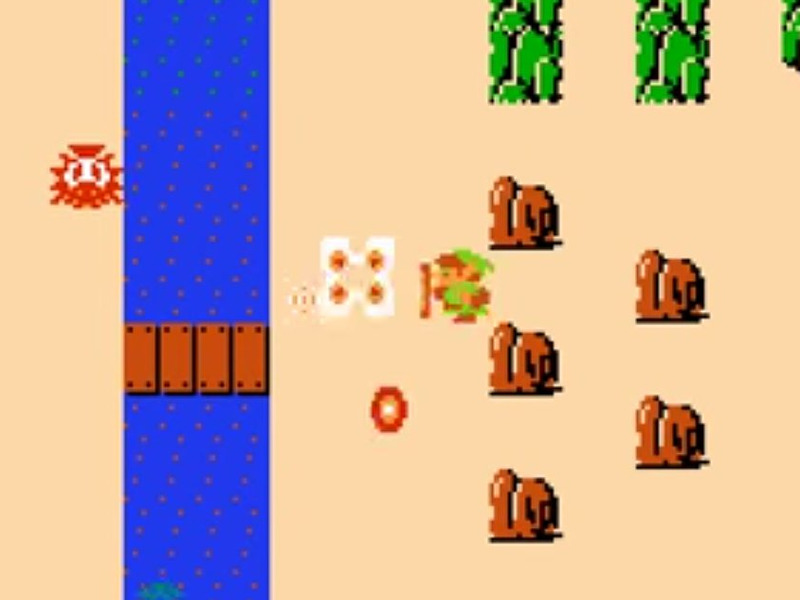 When I was a kid, I spent I don’t know how many hours playing “The Legend of Zelda.” That’s the first game I remember really sinking my teeth into. I’ve played countless games since then, some just as intricate as “Zelda,” some even more so. But nothing makes me feel more nostalgic than the thought of an 8-bit Link running around Hyrule, trying to save the princess. Luckily, you don’t have to rely on my memory to relive your favourite games. Using emulators, virtual consoles, and even remakes of classic games, you can get my nostalgia fix today. An emulator is a piece of software that mimics a different computing system — in this case, an old game system. You can also buy hardware remakes of classic systems, such as the Analogue Nt, to play any old cartridges you have around. The legality of such systems, as well as emulators, is questionable, however. The easiest way, however, might be to find Flash versions of the games. That way you can play in your browser. And if you own a current-gen system, such as a Nintendo Wii U, you can find a lot of these games in the Virtual Console for as little as $US2. 'Zelda,' one of the greatest action adventure games of all time, was released in the US in 1987. There are tons of spin-offs and versions of the game, but the original still stands as one of the greatest. And it was released on a cool-looking gold-coloured cartridge. You play as Link, whose main purpose is to save the princess. 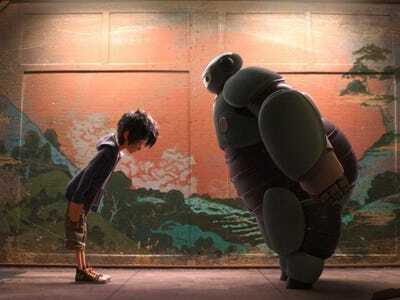 But in order to do so, you have to solve a bunch of puzzles and kill a lot of bad guys along the way. The easiest way to play the game now is through Nintendo's Virtual Console. But if you don't have a Wii or 3DS, then you can download an emulator and play right from your computer. If you're a Mac user, try OpenEmu, which even offers full-screen support. And Windows users can check out FCEUX, which has been around since 2008. 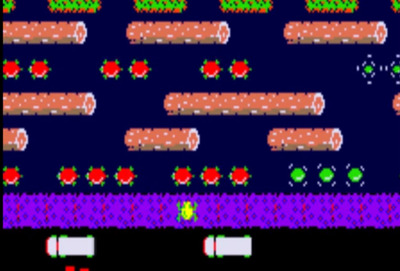 'Frogger,' which came out in 1981, was a fun yet strangely difficult game. The object is to get your frog across a very busy street without getting run over. There are a ton of different versions of the game. It was released in the arcade first, then ported to various systems. But if the Atari 2600 version is your cup of tea, you can play an in-browser version over at the Internet Archive's Console Living Room. Use the arrow keys on your keyboard to move your frog forward, back, and side to side. 'Tetris,' the game where you manipulate falling blocks to create lines that are then cleared from the screen, turned 30 years old this year. 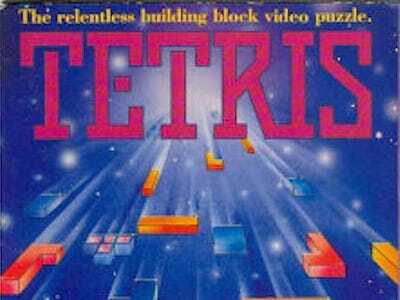 The story behind 'Tetris' is complicated, but the game itself is fun and hugely addicting. It was released with the Game Boy handheld gaming system, and turned the Game Boy into the most popular portable gaming system of its time. Since then, it's become one of the top-selling games of all time. It's so beloved, in fact, that they're making a movie based on it. There are plenty of remakes and spin-offs, but if you want to play the original, and play for free, head over to the official Tetris site. Even the music is still roughly the same. You can also get a version from Nintendo's Virtual Console for $US3.99. 'Donkey Kong' marks the first appearance of Nintendo's game hero Mario (his name was Jumpman at the time, but was later changed to Mario). 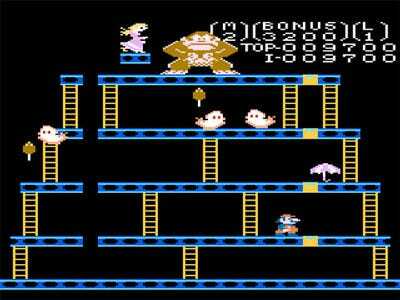 The goal is to rescue the princess at the top of the construction site while avoiding various obstacles thrown by the gorilla, Donkey Kong. The game first came out in arcades in the early '80s, but a special licensing deal with Coleco made it the pack-in game that came with the ColecoVision, which helped make the console a huge hit with consumers. Head over to Internet Arcade to help save the princess from that nasty gorilla. 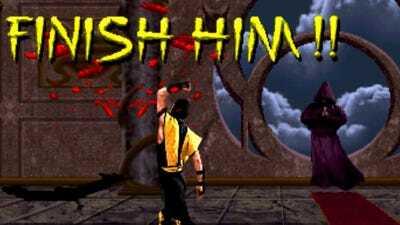 The first official 'Mortal Kombat' game came out as an arcade game, then was released for home consoles on the Super Nintendo and Sega Genesis in 1993. The difference between the two versions was in the details. 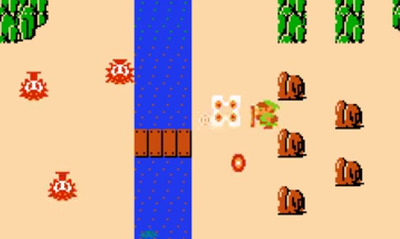 Because of Nintendo's 'family friendly' game policy, the blood and sweat in the original game were replaced with less-gory moves. On the Genesis, you could unlock those gory details with a cheat code: ABACABB. To play the Genesis version, head over to the Console Living Room. 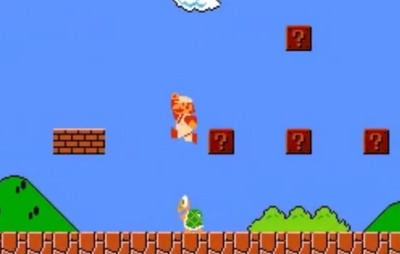 Probably the best known game of all time is 'Super Mario Bros.,' released by Nintendo in 1985. The game is lauded for single-handedly bringing the flailing '80s video game market back from the dead. The goal of the side-scroller is to rescue the princess from the evil King Bowser, killing mushrooms and turtles along the way. If you want to get your 'Super Mario' fix today, there are a ton of remakes and spin-offs for various consoles. But to get your hands on the original, your best bet is to go through Nintendo's Virtual Console or via an emulator. If you're a Mac user, try OpenEmu, which even offers full-screen support. And Windows users can check out FCEUX, which has been around since 2008. 'Sonic the Hedgehog' is arguably the most iconic game released for the Sega, and was the company's answer to 'Super Mario.' But where Mario was loveable and dopey, Sonic relayed a more bad-boy image. Before landing on the name 'Sonic,' Sega's Japanese development team came up with a less than catchy name for the dude: Mr. Needlemouse. 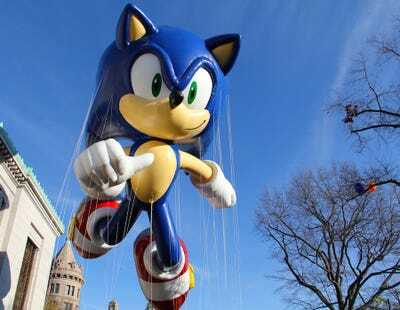 Luckily the North American leg of Sega talked them out of it, and thus Sonic was born. The purpose of the game is to race through each level and collect power-up rings. He ran at supersonic speeds (hence the names), but had to avoid a ton of obstacles that were thrown his way. The easiest way to play the game today is through the Internet Archive's Console Living Room. 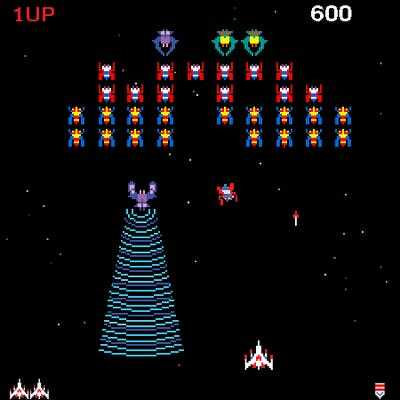 You couldn't go into an arcade in the '80s without seeing a 'Galaga' cabinet. You can try to beat the high score (4,525,150 points) over at the Internet Arcade. 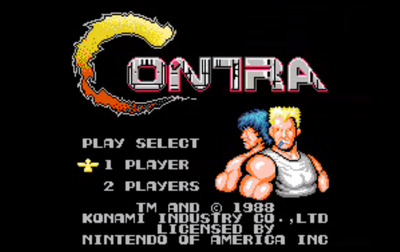 'Contra' is perhaps most well known for its use of the Konami code -- up, up, down, down, left, right, left, right, B, A, start -- a cheat code that gave players up to 30 lives in the Nintendo version of the game. The Konami code has since been used to find Easter eggs and cheats in various games and websites. Gameplay objectives include running around and shooting enemies, while trying not to get shot yourself. The game is both a side-scroller and a sort of 3D game, where players could run forward and backward. To play the game today, head over to the Internet Arcade, which is a little wonky. This browser-based version of the game runs a little smoother.